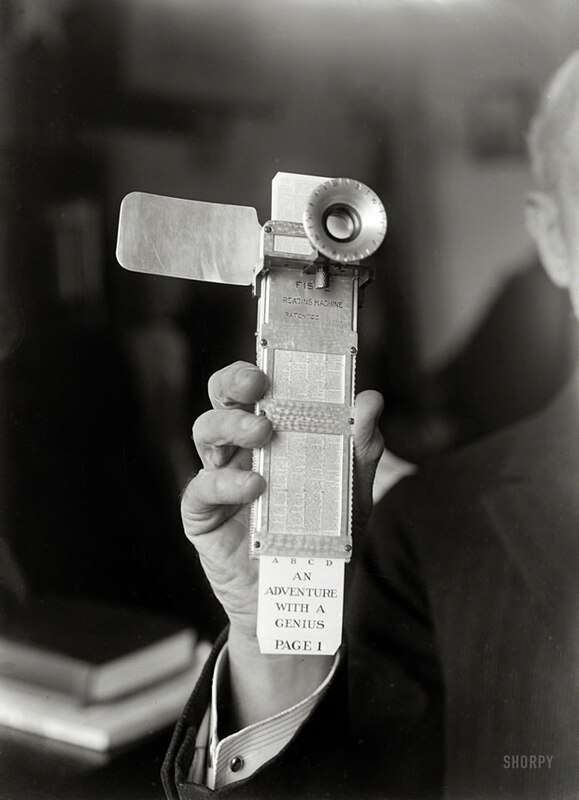 A reading machine made by Rear Admiral Bradley A. Fiske of Washington, D. C. back in 1922. 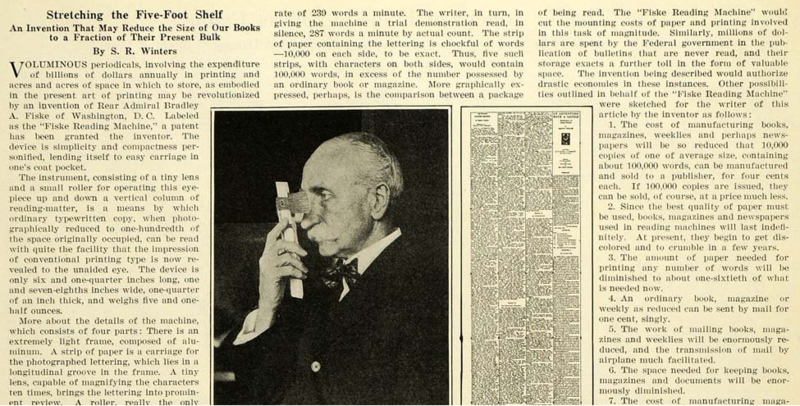 Bradly A. Fiske thought that this reading machine was a good way to help readers get rid of their reading eyeglasses offering them a more convenient way to enjoy book reading by making them more compact. Admiral Fiske invention consists of a small machinery, a lorgnette that has mounted a magnifying lens for one eye, a comfort shield for the other eye and a small rack to hold the reading subject. Below I m attaching single page article from the June 1922 issue of Scientific American. Page 407, Volume 126, that describes the Fiske Reading Machine. Fiske filled for a US Patent United States Patent that was published back in 1937(No.2080172). In my opinion no other device, neither Kindle nor iPad can replace the feeling that someone has when reading books using his/her hands. There is no better thing than having a wall full of books on your apartment, no digital device can reproduce those feelings and thats a fact.